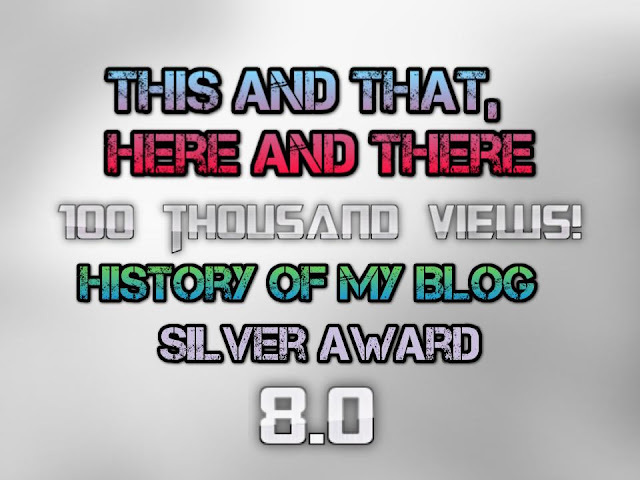 100 Thousand Views Special!- The History of My Blog, Upgrade 8.0, Silver Award, and more! To celebrate the TTHT Blog reaching the landmark goal of 100 thousand views, here is the (long overdue) ultimate special post! It will double as the history of my blog, and a behind-the-scenes post, and you may just learn some little known facts about me and my blog along the way. Without further ado, here is the complete history and evolution of my blog, from 2014 to now! Four years ago, I started blogging. I was just a 3rd grader, and knew little of computers or writing. All I knew was one thing: I wanted to make my own website. 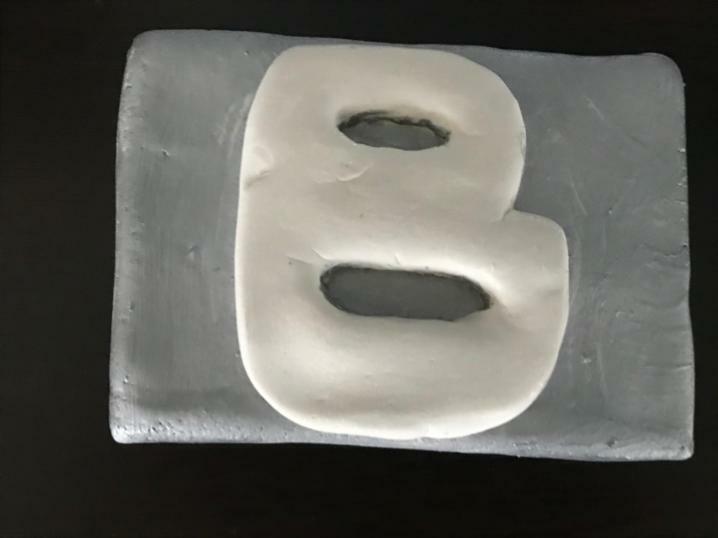 Inspired by YouTubers and online newspapers, I asked my dad if I could make my own. He spent some time looking for a free, easy to use site for blogging, and came across... Squidoo. That's right. My first blog wasn't on Blogspot. Squidoo, a small website builder, was all I really needed to get right into the swing of things. I wrote about whatever my 8-year old mind felt like writing about, from my drawings to reviewing movies to Legos. You might be interested in seeing it after my description. The thing is, you can't see it anymore. Why? Because it no longer exists. No, I didn't delete my first ever blog. Instead, strangely enough, the website company did. In 2014, Squidoo was bought by the company HubPages. You may have heard of it. Just like Google Blogger, it was a free, domain-specific blog builder. On August 14, 2014, HubPages inquired Squidoo. All previous Squidoo blogs now instead led to an error page where you would be asked to sign up for HubPages instead. As a little kid, I was angry and confused because of this, and didn't really understand why it had happened. The truth was, Squidoo was in a dire financial state. They needed a big company to purchase them to save them, and so HubPages came to the rescue. Sort of like how Disney bought Star Wars: it was for the company's own financial good. I refused to use the website of the "evil" corporate folks, so I came across another alternative: Blogspot, owned by Google. If it weren't for my first blog being deleted off the face of the internet, I would never have been able to make my current one. Within the next three years, I didn't give up on my blog. My blog's focus shifted as my interests changed: from Legos to drawing to Star Wars and beyond. No matter what happened in real life, one thing was always certain: my blog would still be there. At the end of my fourth grade year, I was informed by my parents that we would be supposedly moving to Dallas, Texas within the next few months. Imagine since I had been living in New Jersey for my entire life up to that point, and for corporate big-boys to suddenly decide to erase my life as I knew it was a big surprise.Now, whenever I looked out the window, I saw the words "FOR SALE" written in front of my house in big red letters. It was basically like they put a "FOR SALE" sign on my forehead. Despite them dumping their money-filled cowboy boots all over us, I still blogged. Writing made me happy, and that was all there was to it. Ironically and fortunately enough, a few days before we were supposed to go to Texas forever, a change of plans ocurred: I was coming back to New Jersey. At the start of 5th grade, I had a little contest with one of my friends to see who's blog would perform better. His name is Xiang (you may or may not be familiar with him, wink wink The Chicken Petition), and this contest started his own blog. Those of you reading this may recognize that blog as "Past, Now, Future" (techxiang.blogspot.com), but when it first started he simply called it "Hey Everybody!" I enjoyed friendly blog competition with friends, since that was one of my favorite parts of blogging (which was that it was very social). I enjoyed blogging, and everything seemed to be going well. But instead, things went downhill from there. Ironically enough, my blog reaching 100 thousand views actually happened right before what I am calling my blog's "Dark Age", which started in September of 2017 and continued until around this month. It seemed like nothing could go wrong at first. July 2017 was the single month so far in the entire history of my blog in which I gained the most views (around 14,800 extra views, that's the amount that used to take me a year to gain). After that, as you can see with the graph above, the line takes an almost straight-down dip. August was a bit less (11,000), but extraordinary anyways. As soon as school started, the Blog Apocalypse began. My views for September were only 1,800 (a 83% decline from the previous month), and it became apparent that I had got my blog stuck into a situation that would be hard to escape from. School leads to work, work leads to less time, less time leads to no time to blog (or do anything meanful or fun outside of weekends). October was slightly better, despite the fact that I only posted twice (and both were about Halloween). Just after it seemed that it might be revived, November and December went steadily down. Currently, it is still low. The obvious way to save my blog is this: post more often. But since winter break was over, I still am low on time. I will try on weekends, but I can't exactly guarantee you guys anything. That is why I am asking you, the viewers, to help me do something that I couldn't do alone. Share my blog with others, read it, do whatever you have to do to help #bringbackarcasblog! Here is my homemade Silver Award for reaching 100 thousand views! I have been trying to get to this for several months. At first, I promised that I would make one for 50 thousand views. I decided to change my plans and do it for the bigger, more important goal of 100 thousand views. My blog has a new address!It is now www.arcabaran.com! It is a lot simpler and easy to remember than the old one (arcabaran.blogspot.com), and I find it so cool that there is an entire website address named after me! If you use the old one, it will still work anyways, and will redirect to here. Be sure to add "www." in front of it, or else it may not always work. New blog logo! This one is red and blue. Links to All of My Friends Blogs! If you like my blog, then chances are, you will like many of my friends' blogs as well. After seeing my blog, many of my friends were inspired to make their own. Some of them are really good and deserve WAY more attention, so be sure to check them out! My 8-year-old little brother was inspired by me to try writing his own blog! He doesn't have much so far, but I think he is really good for a beginner (better than I was when I started blogging, and I was one year older than him). He says it will be about Nintendo and whatever else he feels like writing about. Check it out! He talks both about Nintendo and places that he travels. He makes a bunch of good top-10 lists about games he plays (even though I fundamentally disagree with most of his opinions in the reviews he makes). He frequently posts high quality content, so check him out. He only has one post so far, but it is great and I can't wait for him to make more! He writes about his life and things he does. Xiang and I go way back in terms of our blogs. He started one year after I did, and we were basically friendly competitors and he made plenty of great stuff. He claims to have since quit his old blog (http://techxiang.blogspot.com/), but he still posts on the one I mentioned before. It is dedicated to talking about Clash Royale. Thank you for reading! Be sure to share with others. Thanks for all the support, and BBYYYYYYEEEEEEEEE!!! !